Keep your keys or accessory items within easy reach. And the compact compass dial can serve as your basic directional back-up. 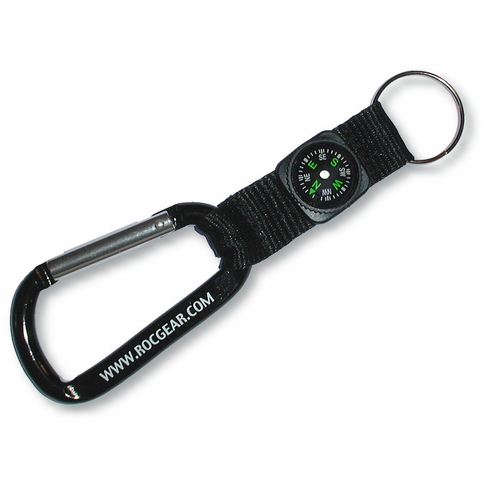 This carabiner compass key ring features an all aluminum carabiner with a nylon webbing strap, key ring, and compact dial compass. The D shaped carabiner is 3-1/8 inches long. This carabiner is not designed for climbing use -- accessory use only.